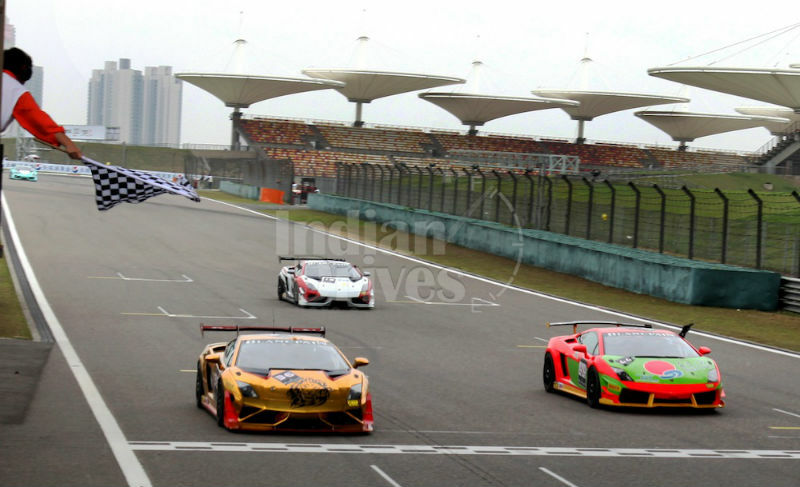 Among the vibrant and enthusiastic audience, fans and media, the Shanghai International circuit was field with the roars of the bulls as inaugural race of the second ever Lamborghini Blancpain Super Trofeo Asia Series started. The enthusiasm and hope grows as for the first time finest drivers from Hong Kong, Taiwan, China, japan, Malaysia, Singapore, Indonesia, Korea and first time from India and Sri Lanka also joined together to celebrate their passion for extreme driving. The favorite of the first race was the man from China Willian Lok (#44) and his partner Davide Rizzo but to the surprise to many another man from China Jiang Xing and Max Wiser (#9) took the leadership to claim the first place for the first race. The result pushed the Rizzo/Lok to the second place and it has made Japanese Driver Nakaya (#10) to reach 3rd spot in the group A. in group B China dominated again as Xu Peng Kai and Zhang Zhen Dong (#7) claimed the first place. Winning teams from both the group shared the complete joy as crowd cheered for them while they were awarded the prestigious trophies. 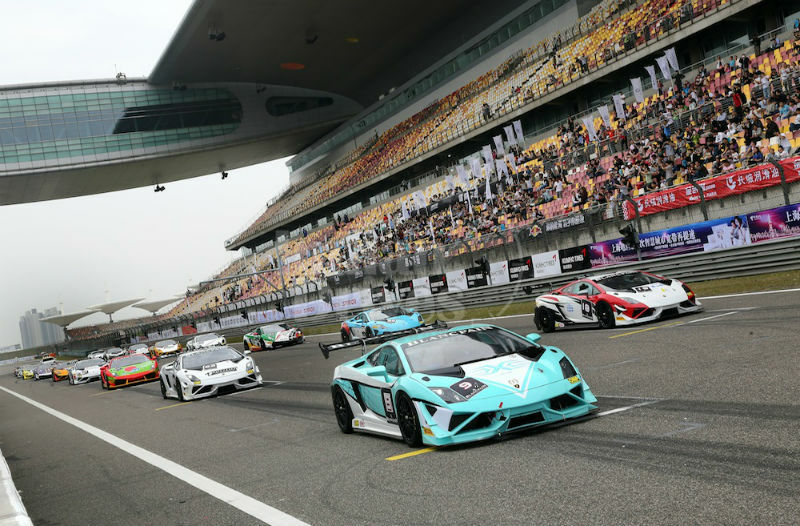 On Sunday huge crowd gathered again in the warm and misty Shanghai morning as the Lambos raged the track during the second race that brought the Super Trofeo Asia Series 2013 to its end. Saturday’s runner up team Rizzo/Lok (#44) looked determined and grabbed the first place in the group A. A team from Taiwan with Chao/Lin (#38) raced from the 10th starting grid to the first position in the first minutes of the race but they were shortly out-runed by the Nakaya (#10) and Rizzo/Lok (#44) amd continued to chase them until the end of the race. In Group B another team from Taiwan Chou/Masahiko (#24) maintained the consistant lead throughout the race and beat the champion duo Xu/Zhang (37), who with an unexpected start kept the second place till the end of the race. Taiwanese man, Han Lin (#36) rised for the first time in the Super Trofeo Asia Series and grabbed the third spot. This notable achievement for the Han Lin stands as an inspiration for the developing the skills of each driver. 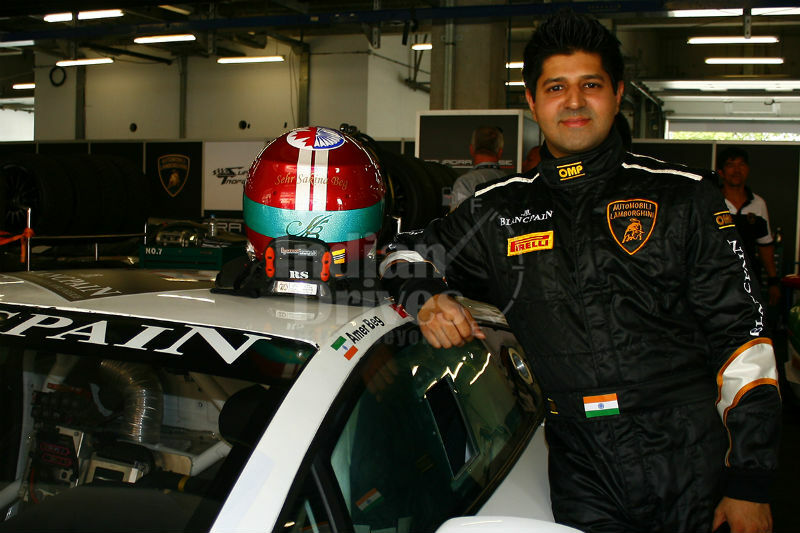 Speaking on the event, Maurizo Reggiani, Board Member, Director of Research and development, Lamborghini said that the race has brought and all new level of excitement into the racing event as this is much more than a motorsport event. Alain Delamuraz, VP and Head of Marketing at Blancpain said that Lamborghini is all about style, passion, and extra ordinary statement of fun which is reflected in each of the drivers. This race opened the world of competitiveness of driving in the Asian world again. The next phase will take place at Sepang, Malaysia on 28-30 June, where a new environment and climate will be waiting to test the drivers.